Local performing artist Christylez Bacon wanted something special to wear at his album release party. 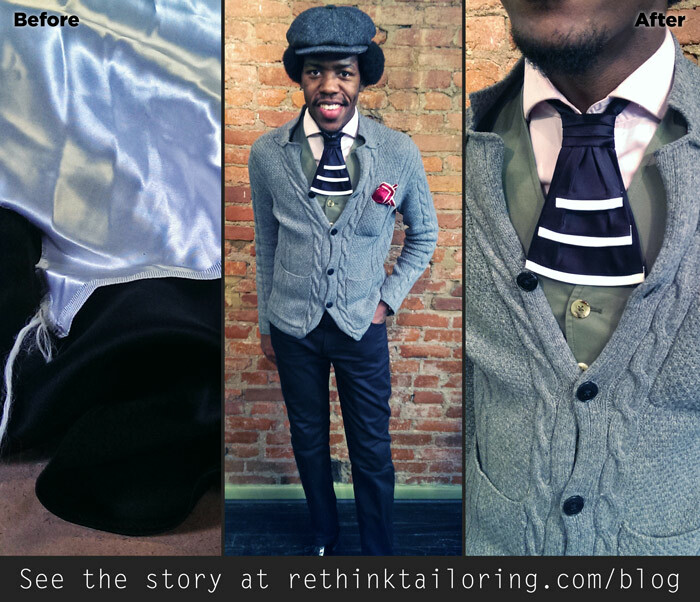 He requested one of my custom Ascots–but he wanted a nod to the tuxedo. I agreed to do and and still kept it recycled by working with fabrics in my scrap bin. 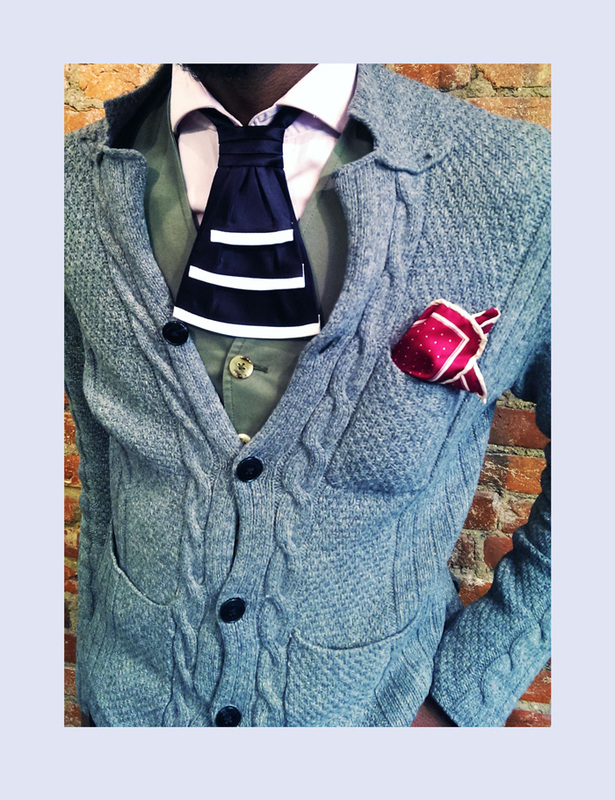 ← Old jacket from the closet revamped to sassy woven vest.